People celebrated Diwali in a traditional manner and even celebrities wished everyone in traditional outfits making Fans go frenzy. 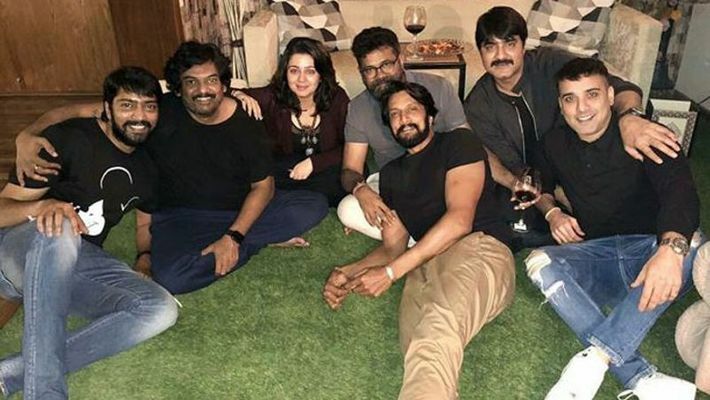 However we heard that Puri Jagannath, Srikanth, Allari Naresh, Charmi, Bhupal, Ali's brother Khayyum, Srikanth's brother.... all celebrated Diwali yesterday night having drinks party in a pub. Hearing this, we too wondered on what's wrong with them celebrating festivals with booze parties. Srikanth and Charmi already faded out from industry and Puri jagannath is reeling under flops. Allari Naresh too is in similar situation. All these flop celebrities, drowned in drinks during Diwali are dreaming of blockbusters. Akshara, Behave Like A Star Kid!